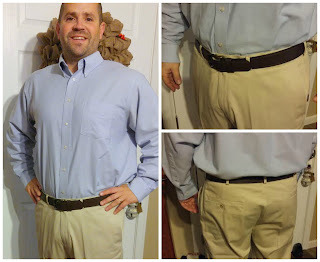 Haggar Clothing Co. is the leading manufacturer of men’s pants so the concept of creating a new Premium No Iron Khaki was simple – make the best pant for the money. They are on a mission to make men more comfortable, and make life easier for the women who have to launder their clothes! The less guys have to do with their pants, the better. Haggar listened to its customers, and knows that guys need a consistent winner when pants come out of the dryer. They want pants that withstand washing and drying, and truly involve no ironing. 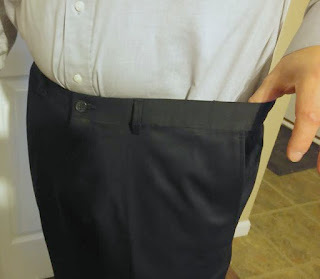 The key was building in stretch, but more importantly, stretch recovery – to ensure that pants can be worn all day without losing their shape, that they move with their man, and that they are ready to wear, wash after wash. 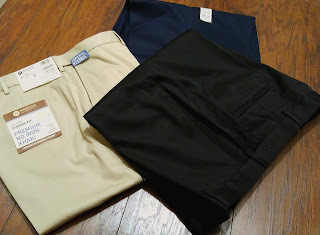 These new Premium No-Iron Khaki look as great as it feels, my husband is in love with these khakis. 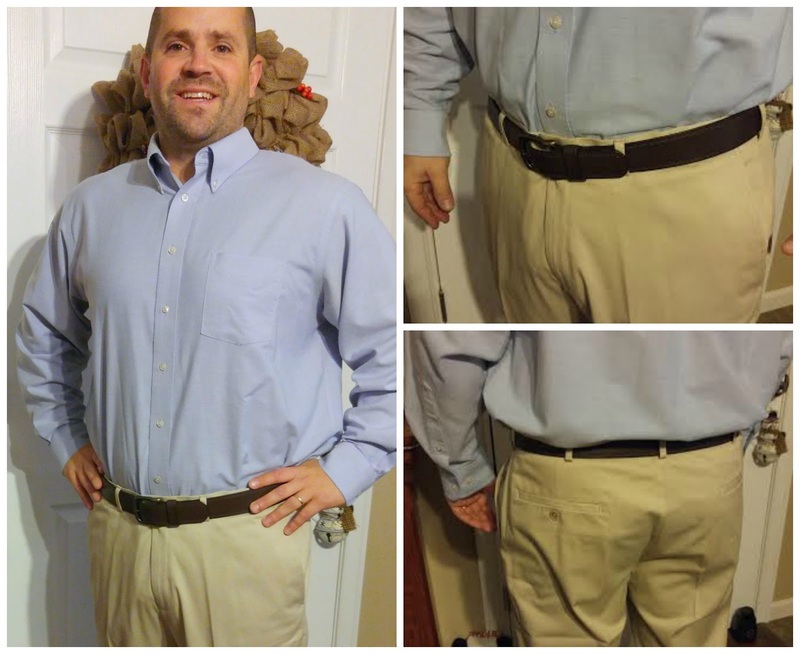 They feature stretchable cotton-blend fabric, a hidden expandable waistband (see above picture of my husband stretching them out) and permanent crease will keep you looking sharp and comfortable. If you like our Work to Weekend khaki, you'll love this slightly dressier lighter-weight option. My husband is a college professor and it is must to wear dress slacks to work. Sometimes clothing shopping with his is worse then shopping with my tween daughter! It can be a bear to find comfortable, high quality clothing that doesn't require ironing. Since I am the one who does most of the ironing, I was ecstatic to find out about this pants and that my husband loved them as well! 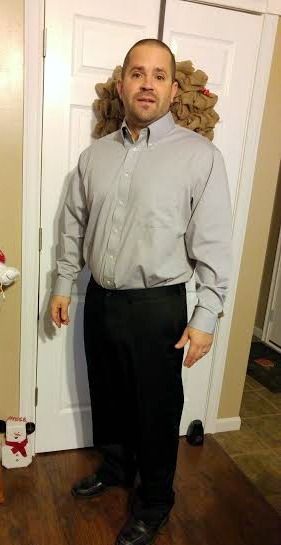 Less work for me, he looks great and is comfortable at work! These pants are perfect for parties, as they look great and are forgiving. 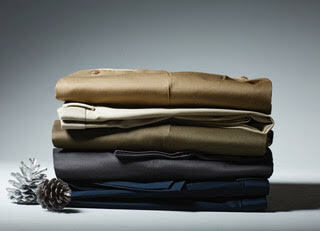 The wrinkle free features also make them ideal for pant for holiday or business travel. Available in a wide assortment of colors, guys can buy them at Haggar.com, Kohl’s, JCPenney, Macy’s and other leading retailers for under $40.